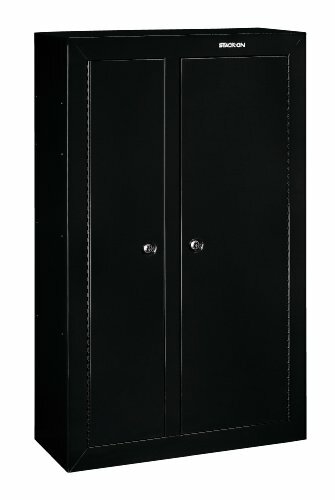 When you are deciding on a gun safe, it is extremely important to think about the quality and thickness of the steel that is used in manufacturing a gun safe because these two elements are a crucial determining factor of its strength. Furthermore, the rule of thumb states that the thicker the steel is, the harder it will be to break into the safe. Having said that, the thickness of the steel is an extremely important security factor. However, the thickness of the steel is not the only element to have in mind when buying a gun safe because the steel thickness alone does not determine the strength of the gun safe. The quality of the steel is another essential factor that you should look into because if the better the quality of steel, the greater the protection is. Have in mind that the strength of the steel increases by each square of thickness, and therefore, quality thick steel will maximize the safety potential of a gun safe. Here is an example, when the steel thickness is doubled; one might think that the safe would become twice as strong. However, the reality is that it actually becomes eight times stronger. 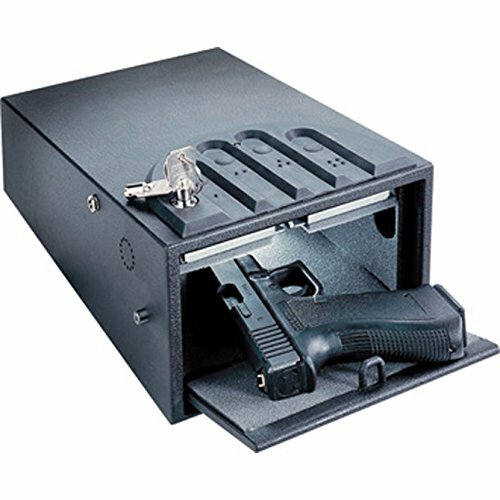 Interestingly, the most significant confinement with the present day market place would be the fact that companies tend not to take into account that the most important objective of a gun safe is always to provide the highest possible security to your valuable items. On the other hand, most of the manufacturers are guilty of being overly enthusiastic by their pursuit of everlasting profits, and for that reason, poorly built gun safes have flocked into the market. 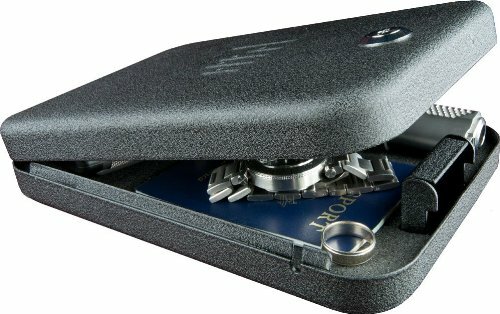 This has created a chain-reaction and today, there are so many cheap end safes on the market that are built from thin gauge metal that is only meant to look thick but offers no protection. This is a perfect example of how quality is sacrificed for price. 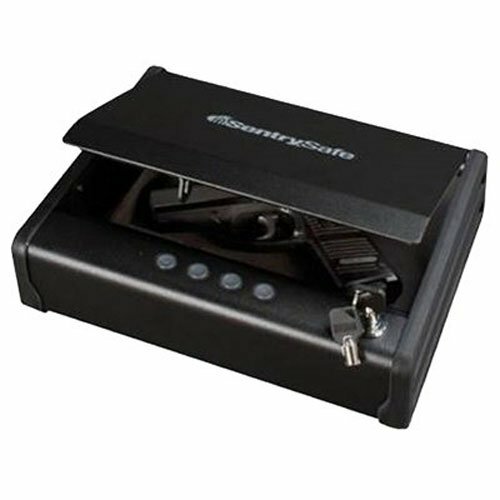 These poorly constructed gun safes can be easily pried open, and your weapon and other belongings can be stolen or used with catastrophic consequences. In Hollywood movies that are supposed to take place back in the old times, bank robbers use dynamite to gain access to a safe. The reason is that safes back in time were robust, heavy and too thick to be pried open using tools. However, today’s reality is completely different because any thief can use a pry bar or an ax to pry open a modern safe. Therefore, gun safe manufacturers should make gun safes the same way they were made back then. 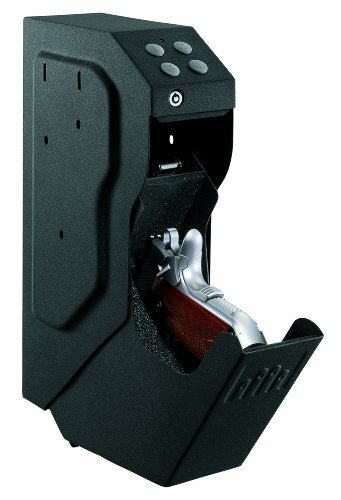 If so, the gun safes will be heavy, sturdy, thick and built with quality in mind. 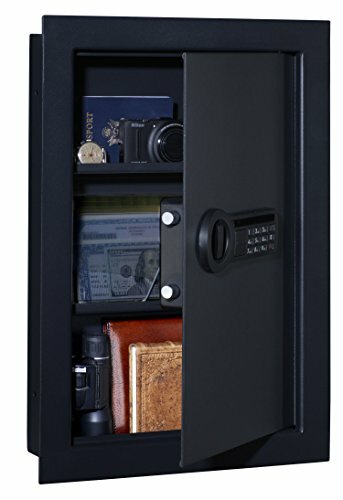 The downside is that these kinds of safes are expensive and might not suit everyone’s needs. 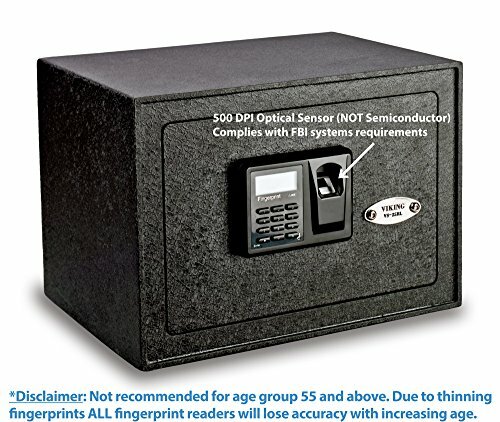 The demand for a portable, secure gun safe is rising every year and manufacturers are constantly coming up with different designs to match the consumer’s demands, but the fact is that a compact gun safe, with a simple locking system will never offer the same level of protection as a thick, heavy-duty safe. You should never count on a thin, cheap-end metal safe to store your guns and other valuable items. 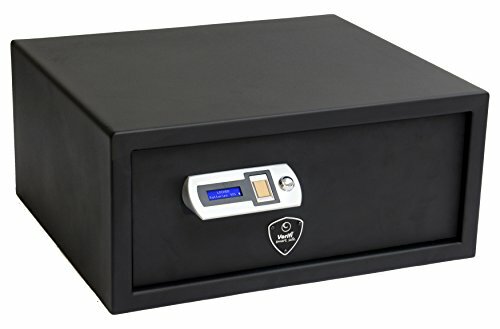 With a simple research, you’ll notice that most poorly constructed gun safes include thin metal frames that are constructed from 16 to 20 gauges. If you end up with a safe that features anything from 14-20 gauges, you can expect even the least experienced burglar to be able to pry it open with a hammer and a large screwdriver. On the other hand, the maximum steel gauge for a quality built gun safe should be minimum 10 and preferably between 8 to 6. 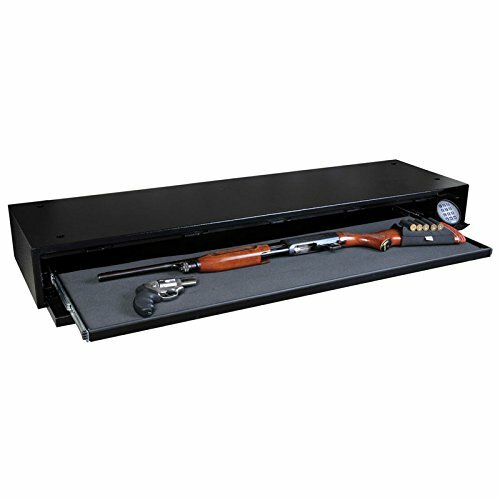 Now, the most important thing you should look at when you are doing your research on the ideal gun safe, is to carefully investigate what kind of material the gun safe is constructed from. It goes without saying that there are lots of different materials out there that feature different qualities and each and every manufacturer will claim that their product is the best one on the market. To some extent, this is true, but you cannot take for granted that a poorly built gun safe that has been receiving bad reviews can protect your valuable items. This is the reason why it is crucial for you to carefully check the steel thickness and make sure that the material is top-quality. Your number one metal is steel and nothing but steel. Do not settle for aluminum because it does not withstand heat as effectively as steel. Also, it easily bends under pressure. Instead of sacrificing quality for price, make sure that your desired gun safe is built from thick steel because the steel thickness will protect you’re valuables considerably better. When you’ve located a gun safe that features a steel construction, you need to check the thickness. 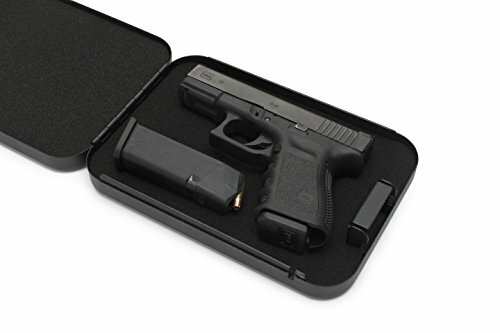 This is certainly a key element of a gun safe, because it should be thick enough to withstand a bullet but not too heavy for transportation and installation. Ensure that you pick the right gauge of steel (min 10). Just remember that the lower the gauge number, the thicker the gun safe is. There are of course other things than steel thickness to look for in a gun safe because the locking mechanism is something that needs your attention as well. Once thieves realize that they are not able to break through the steel, they will most definitely tamper with the locking mechanism in order to gain access to the safe. Some of them even go directly for the lock without even thinking about the steel frame. Therefore, you need to make sure that the locking mechanism is top-notch and secure. There are many lock types on the market that include a number combination, electric lock or combination of a manual and an electric lock. 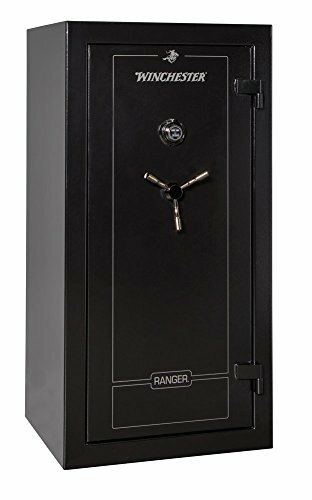 It has to be mentioned here that a high strength and low-gauge steel gun safes might not be the budget-friendliest options available, but they will be worth your money. 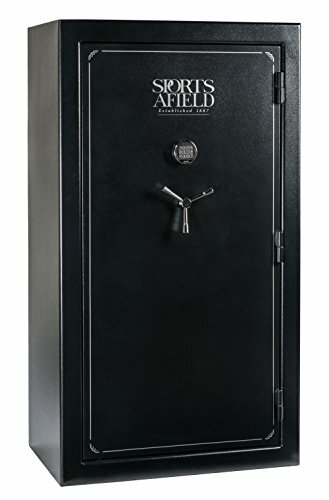 To start with, a high-quality, thick steel gun safe can keep your belongings safe and secured in fire, and it will take a burglar a lot more time to gain access if you spend a little more in quality and thickness. It is unlikely that your house or car will catch fire, but it happens regularly around the country, and in such drastic situations, the steel thickness and the quality of the material used in the construction will decide how safe your items are. 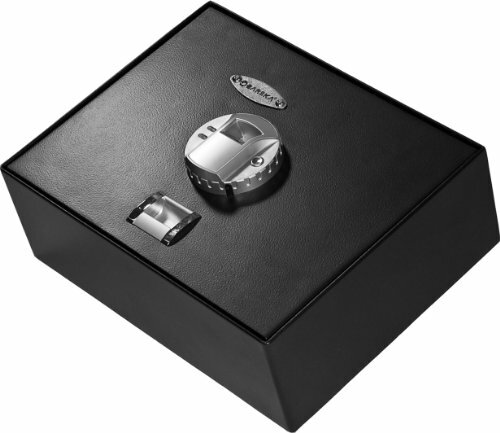 At the end of the day, there are so many safes to choose from, and they range in sizes and prices. 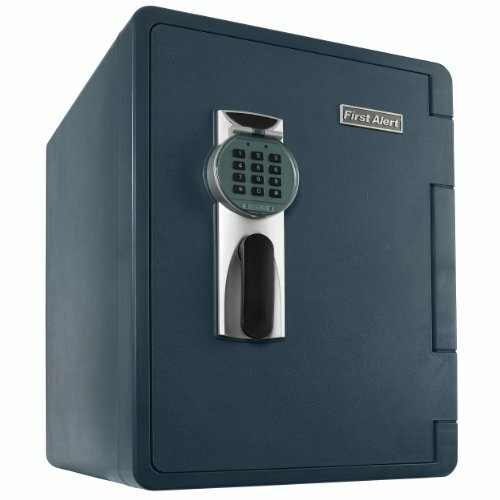 You will find an affordable safe that can match your demands, but if you are constantly looking to safe a buck or two on gun safe, it might come back at you later. The bottom line is that you get what you pay for and you will not get the same qualities from a 20 dollar safe as you would get from a 1000 dollar safe. However, the price should not be your only deciding factor because you need to look at other elements, as we discussed here above. Just remember that the lower the gauge number, the thicker the steel and the larger the gauge number, the thinner the steel. With this in mind, you should be able to pick the very best unit that suits your needs and demands if carefully keep in mind the importance of thickness of steel, as well as quality, durability, price and then you will end up with a gun safe that will last you for a lifetime.